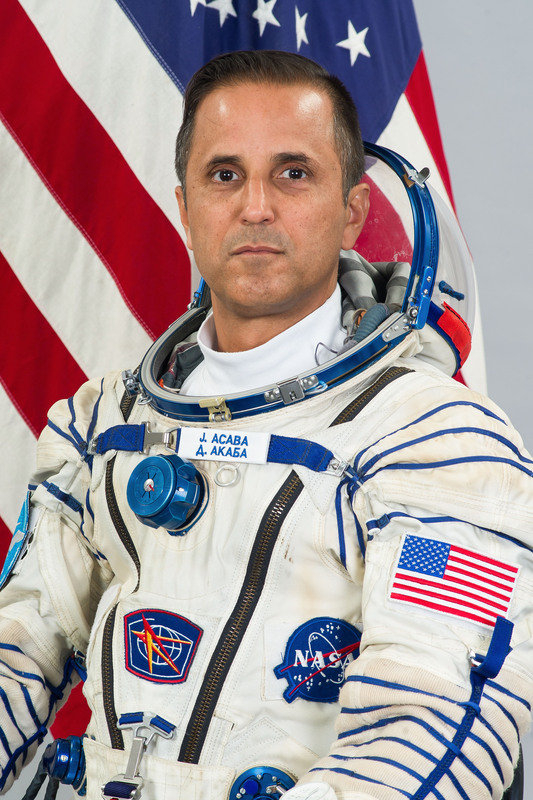 Joseph Michael Acaba is a NASA Astronaut with a prior flight on the U.S. Space Shuttle and one long-duration mission to the International Space Station as part of Expedition 31/32 in 2012 for a total time spent in space of 138 days. He will make his return to the orbiting laboratory in 2017 for a planned five-month mission as part of Expedition 53/54. Born May 17, 1967 in Inglewood, California, Acaba considers Anaheim his home town, graduating from Esperanza High School in 1985. He then enrolled at the University of California in Santa Barbara, earning a Bachelor’s in Geology and continuing to earn a Master of Science degree in Geology from the University of Arizona. Acaba was a Sergeant in the U.S. Marine Corps where he served for six years within the Marine Corps Reserve Unit in Tucson, Arizona. Acaba worked as a hydrogeologist in Los Angeles, primarily on Superfund sites and he was also involved in the assessment and remediation of groundwater contaminants. He spent two years in the United States Peace Corps as Environmental Education Awareness Promoter in the Dominican Republic where he trained teachers in modern teaching methodologies. Later, he was the manager of the Caribbean Marine Research Center in the Bahamas and worked for one year as a teacher at Melbourne High School and four years of middle school math and science at Dunnellon Middle School, Florida. 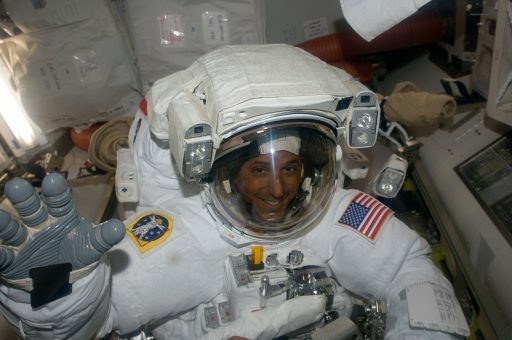 Joe Acaba was selected as one of eleven astronaut candidates as part of NASA’s 19th Astronaut Group in 2004, becoming the first person of Puerto Rican heritage to become an astronaut candidate. Selected as an Educator Mission Specialist, Acaba reported to the Johnson Space Center in Houston for two years of basic training and evaluation, receiving is qualification as Space Shuttle Mission Specialist in February 2006. Upon completion of basic training, Acaba was assigned to the Hardware Integration Team within the International Space Station program, dealing with systems integration of European Space Agency hardware. He was also part of the Space Shuttle Branch, supporting launch and landing preparations at the Kennedy Space Center. Joe Acaba received his first flight assignment in October 2007 as a Mission Specialist Educator on Space Shuttle Mission STS-119, launching aboard Space Shuttle Discovery on March 15, 2009 on ISS Assembly Flight 15A. Bolted into the Shuttle’s payload bay was the final truss segment and Solar Array Wing to be installed on ISS. Docking on March 17, the crew joined the Expedition 18 crew of Mike Fincke, Yuri Lonchakov and Sandy Magnus. The main objective of the mission was the installation of the S6 truss that was maneuvered into position robotically for installation during the first EVA of the flight performed by Steve Swanson and Ricky Arnold who bolted the truss in place and started to connect power and data cables, remove launch locks and set up equipment for the deployment of the solar arrays. Acaba, also a spacewalker on this mission, supported the initial EVA as IV-crew member before participating in the next two spacewalks. EVA-2, performed on Flight Day 7, was completed by Acaba and Swanson who dealt with a number of items including the preparation of batteries on P6 for replacement, the installation of a GPS antenna on Kibo and reconfigurations of connectors on the Z1 truss. The third EVA, two days later, saw Acaba and Arnold relocate and outfit a CETA cart, service the Station’s robotic arm and attempt the deployment of a cargo carrier. After an eight-day docked mission, Discovery departed the Station, leaving the Expedition 18 crew of Commander Mike Fincke and Flight Engineers Yuri Lonchakov and Koichi Wakata behind, bringing Sandy Magnus back to Earth after her long-duration mission. The Shuttle safely landed at the Kennedy Space Center on March 28 after circling the Earth 202 times over a mission of 12 days and 19.5 hours. During the mission, Acaba accumulated 12 hours and 57 minutes of spacewalking time. Later in 2009, reports emerged that Acaba was assigned to the crew of ISS Expedition 31/32. 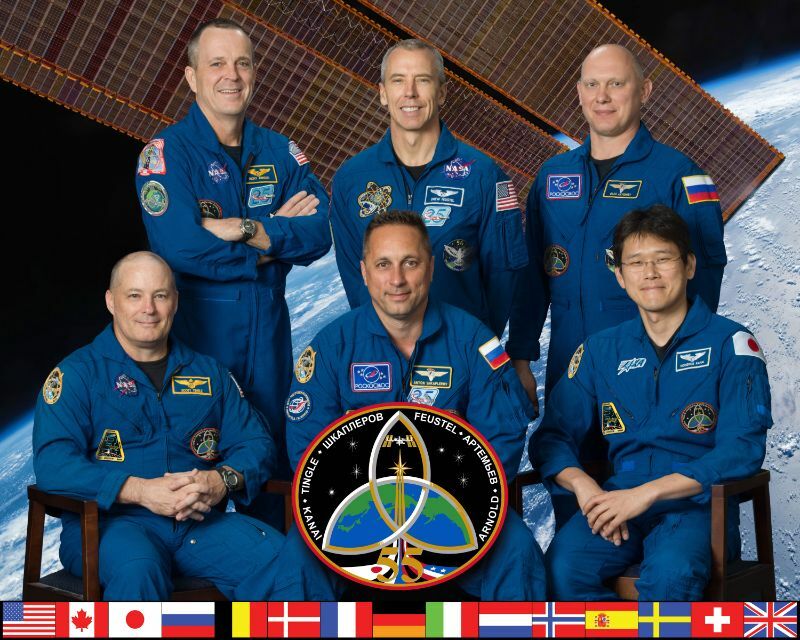 This assignment was confirmed through an official press release in July 2010 and Acaba entered flight-specific training around the ISS partner agencies to undergo systems familiarization and procedure reviews for science, maintenance and emergency operations. In January 2011, Joe Acaba along with Gennady Padalka and Alexei Khomenchuk participated in winter survival training outside Moscow to prepare for the unlikely scenario of an off-target Soyuz landing in winter conditions. The three Soyuz TMA-04M crew members, Commander Gennady Padalka, Flight Engineer #1 Sergei Revin and Flight Engineer #2 Joe Acaba went through Soyuz and ISS exams in August 2011 as part of their backup crew assignment for Soyuz TMA-22. All were cleared for flight and were on standby at the launch of Soyuz TMA-22 in November 2011 before returning to their home institutions for final flight-specific training. Soyuz TMA-04M blasted off on May 15, 2012 and enjoyed a flawless ride into orbit atop its Soyuz FG rocket, setting the crew up for a two-day link-up with ISS, docking to the Poisk Module on May 17 to join the Expedition 30/31 crew of Oleg Kononenko, Andre Kuipers and Don Pettit. As part of Expedition 31, the six-person crew supported over 200 scientific experiments covering all fields of science. In late May, the first SpaceX Dragon spacecraft to fly to ISS successfully conducted a rendezvous with the orbiting outpost, being grappled by the robotic arm of ISS and berthed to the Harmony Module, marking the first visiting vehicle to arrive at the USOS after the retirement of the Space Shuttle the year before. Soyuz TMA-03M with Kononenko, Kuipers & Pettit departed ISS on July 1, 2012, marking the official start of Expedition 32 that started with a crew of three for two weeks until, on July 15, Soyuz TMA-05M launched from Baikonur, docking to ISS just two days later with Yuri Malenchenko, Suni Williams and Aki Hoshide. In late July, ISS was joined by HTV-3 that launched from Japan on July 21, delivering internal and external payloads to the space station, including high-profile experiment payloads such as the Scan Testbed, the Aquatic Habitat and CubeSatellites. In late July, Progress M-15M conducted an undocking and re-docking maneuver to check out a new set of KURS rendezvous sensors for use on the next Progress & Soyuz generation. A short time later, on August 1, Progress M-16M docked to the Russian Segment to keep up a steady chain of supplies heading to ISS. 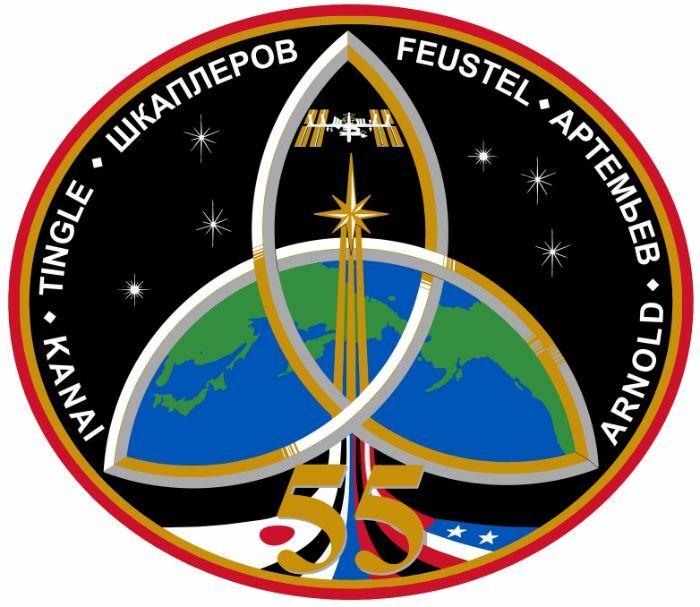 This Progress was the first craft to use an expedited four-orbit, six-hour rendezvous technique that would later become the standard rendezvous profile flown by the Progress and Soyuz fleets. On August 20, Gennady Padalka and Yuri Malenchenko conducted an EVA to relocate the Strela 2 Boom from the Pirs to the Zarya module, release a small spherical satellite, install five MMOD panels on Zvezda and retrieve a Biorisk Experiment container. Padalka, Revin and Acaba departed ISS in the late hours of September 12, 2012 for an overnight return to Earth, making successful landing in the steppe of Kazakhstan to conclude a flight of 124 days, 23 hours and 52 minutes. 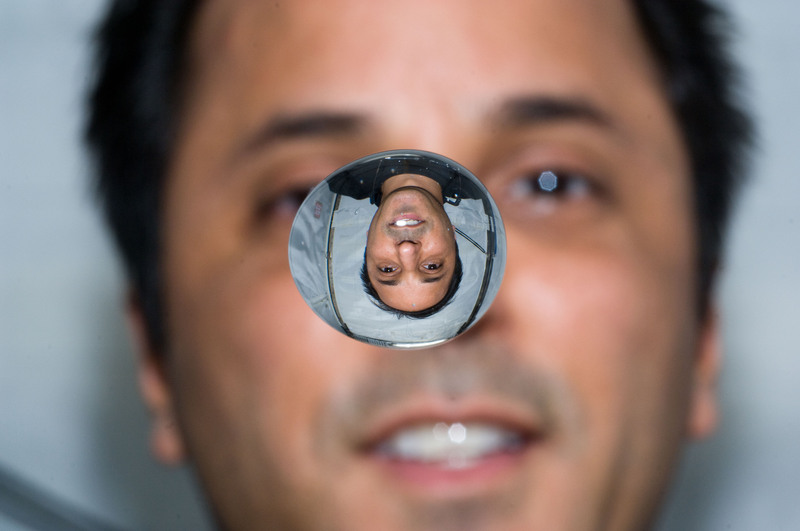 On his two space flights, Joe Acaba spent 137 days, 19 hours and 22 minutes off the planet. 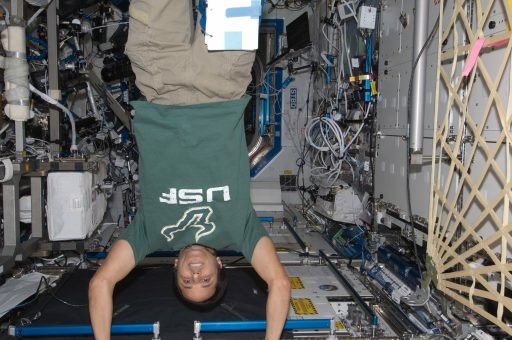 Continuing to work within NASA after his long-duration mission, Acaba served as the Branch Chief of the International Space Station Operations branch and Director of Operations Russia in Star City. Joe Acaba received his third flight assignment on fairly short notice after Russia decided in late 2016 to reduce its permanent ISS crew to only two members, freeing up seats on Soyuz spacecraft for a potential fourth U.S. Segment crew member. 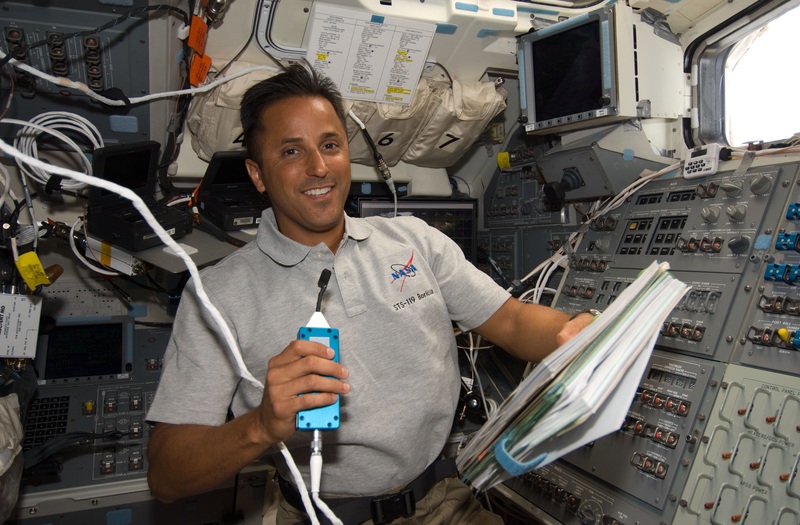 NASA acquired the seats through Boeing and decided in early 2017 to fill the first open slot with Joe Acaba, given his experience with ISS flight operations and Soyuz training from the previous positions he held within the Astronaut Office as well as his prior flight experience. He reported for training at the Gagarin Cosmonaut Training Center in March with only half a year to prepare for a five-month stint on ISS. 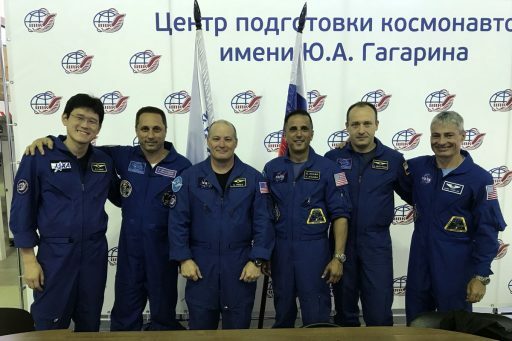 Acaba joined Soyuz MS-06 crew members Aleksandr Misurkin and Mark Vande Hei after they were shuffled from the MS-04 mission in November 2016.